I love dinosaurs. Always have. And when I saw these two large plastic dinosaurs for $0.99 at Savers, I knew a splash of prehistoric nostalgia was just what my kid's bathroom needed. 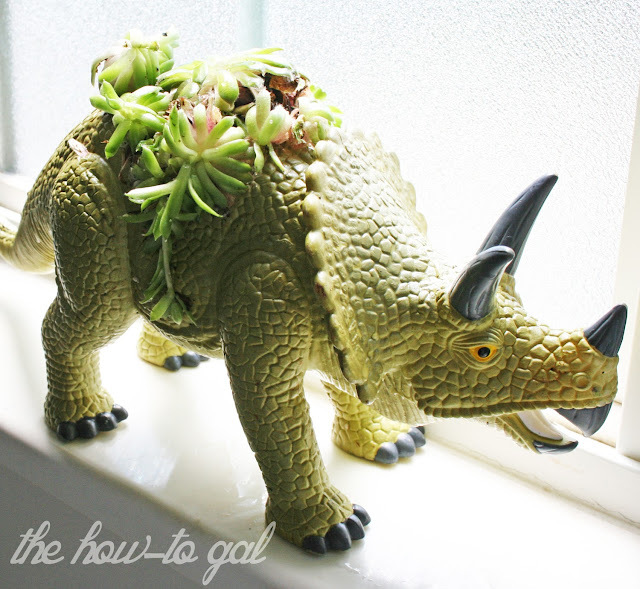 Step One: Drill tiny holes where you want to plant your succulent. Step Two: Make a larger opening in the dinosaur with a knife, using the tiny holes as a guide. 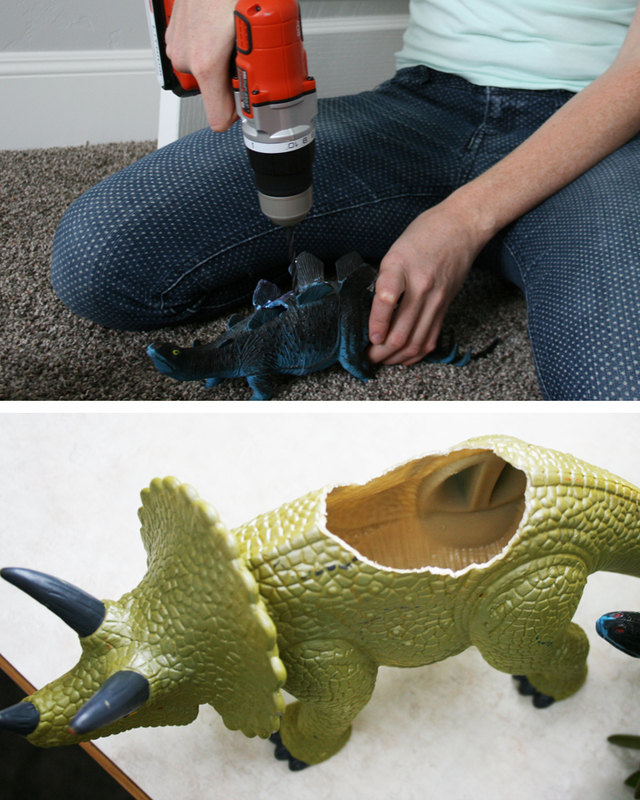 Step Three: Clean out the plastic shavings from your dinosaur. Step Four: Fill the inside of the dinosaur with potting soil and lightly water the soil. 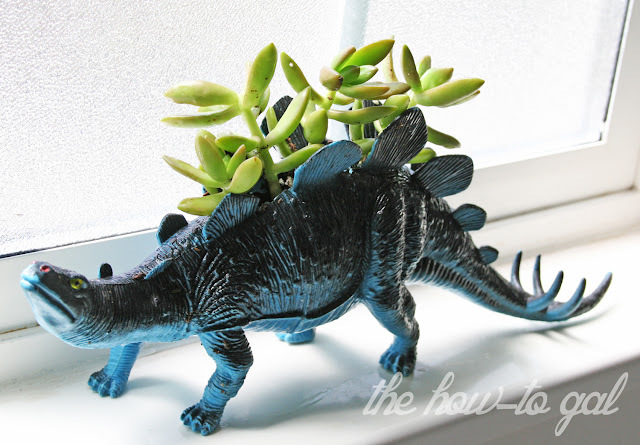 Step Five: Plant the succulents in the dinosaur and fill any gaps with extra soil. 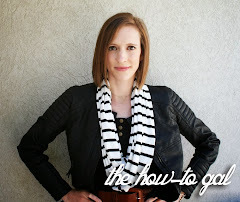 Step Six: Clean off any extra soil while watering the plant. 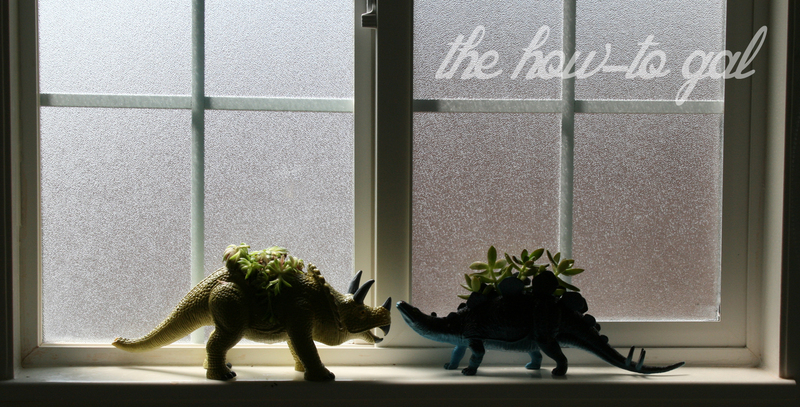 My little dinos live in the window sill above the bathtub in my kids' bathroom. They make cleaning the toilets slightly more enjoyable. How have these held up since creating them? 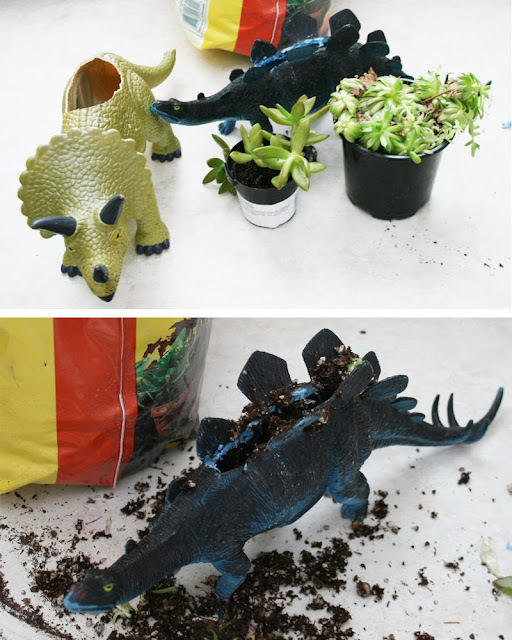 so cute!although, having a hard time finding toy dinosaurs!any suggestions??!???!? !